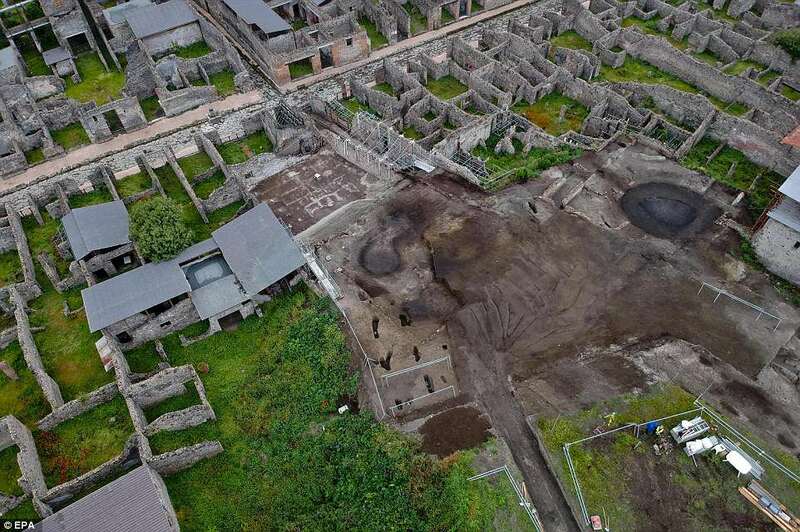 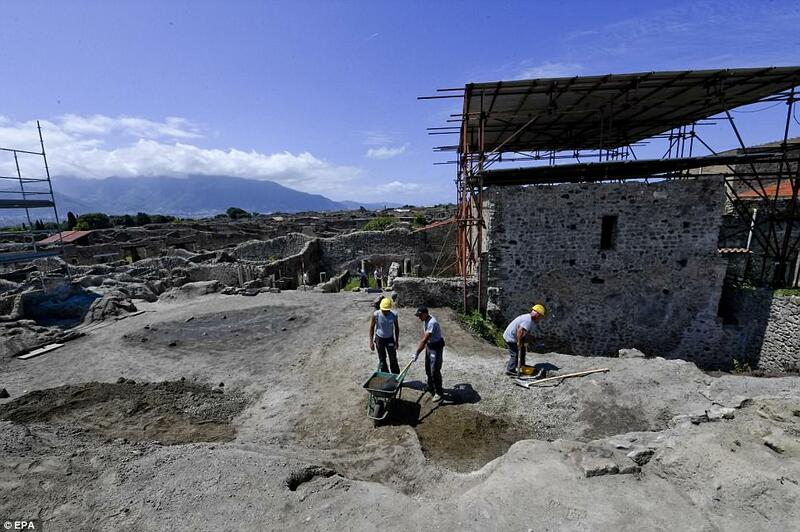 Archaeologists have excavated the house of a 'wealthy and cultured' man who lived in the ancient Roman city of Pompeii that was buried by ash and rock spewed by the volcanic eruption of Mount Vesuvius in 79 AD. 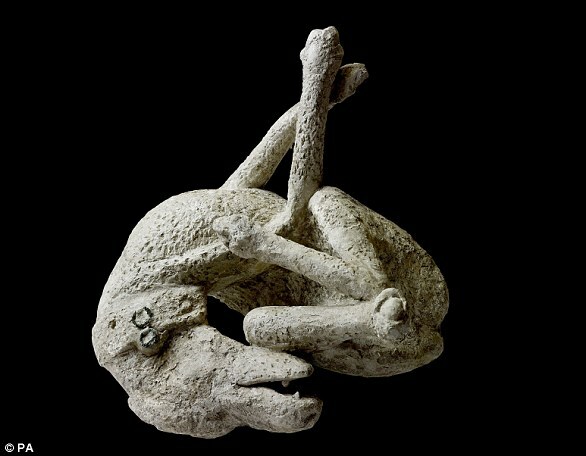 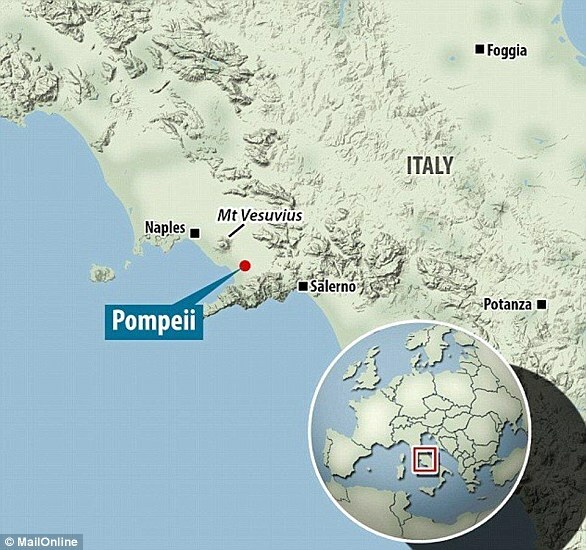 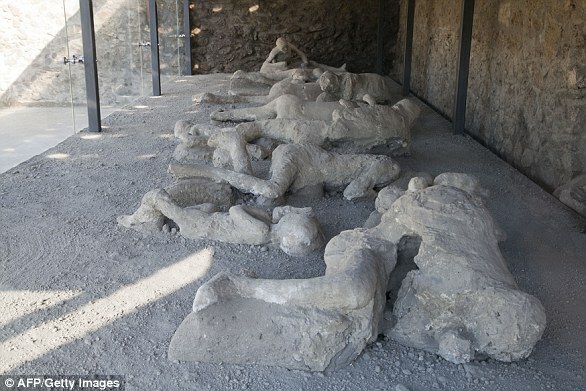 The eruption belched out a lethal combination of toxic sulphurous gas and hundreds of tonnes of volcanic ash that buried the cities of Pompeii, Oplontis, and Stabiae overnight. 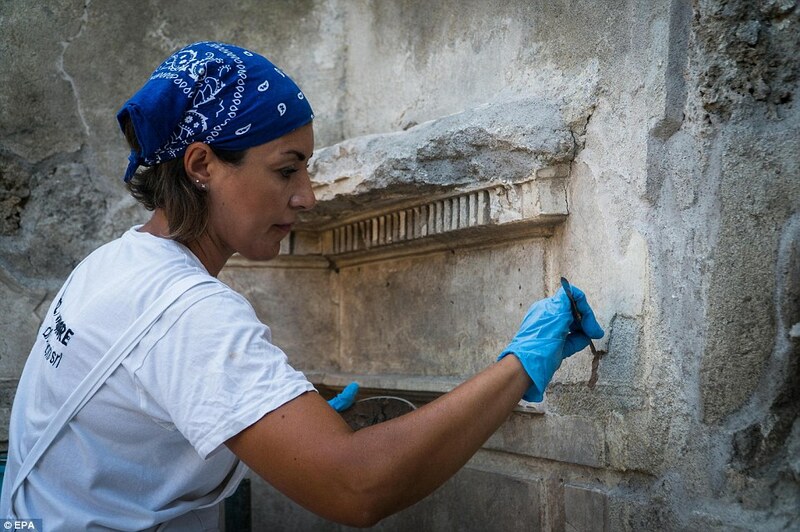 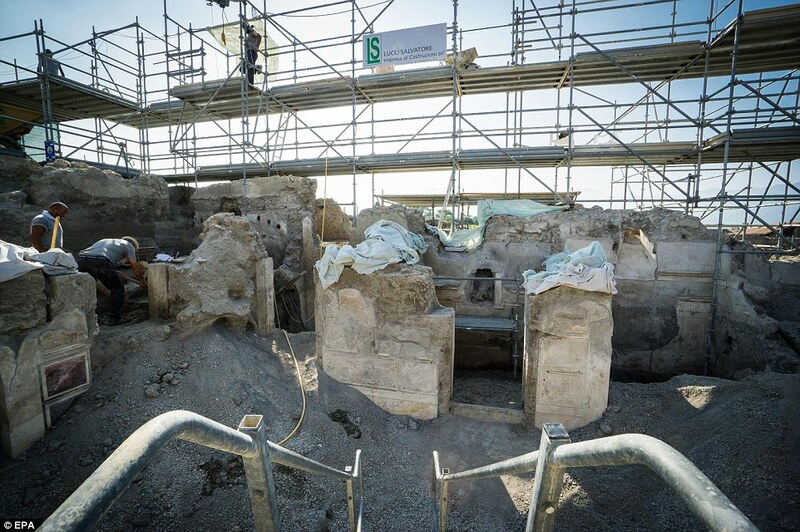 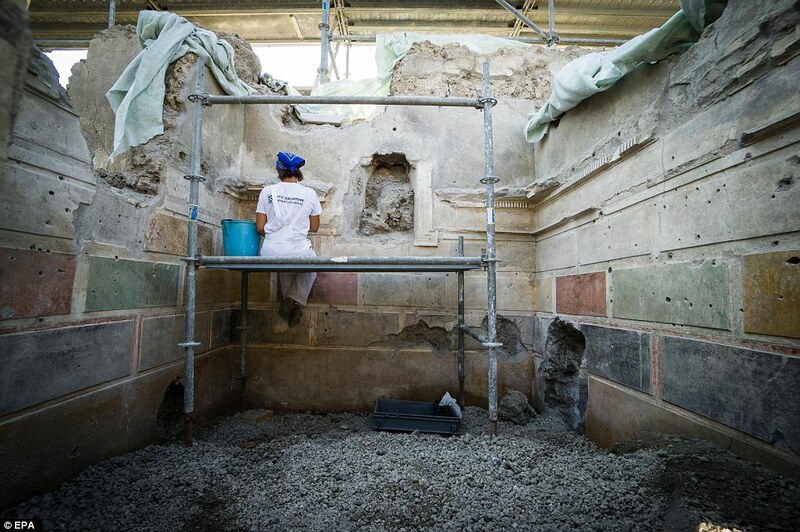 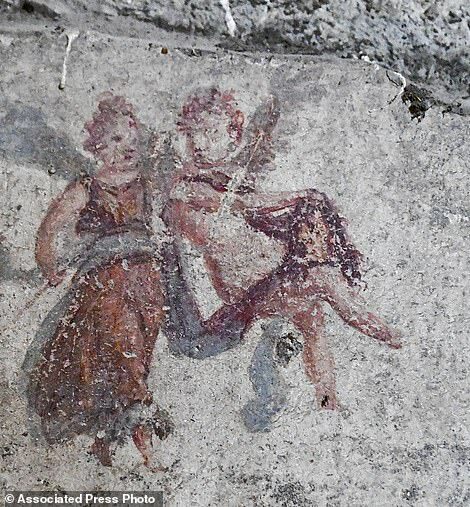 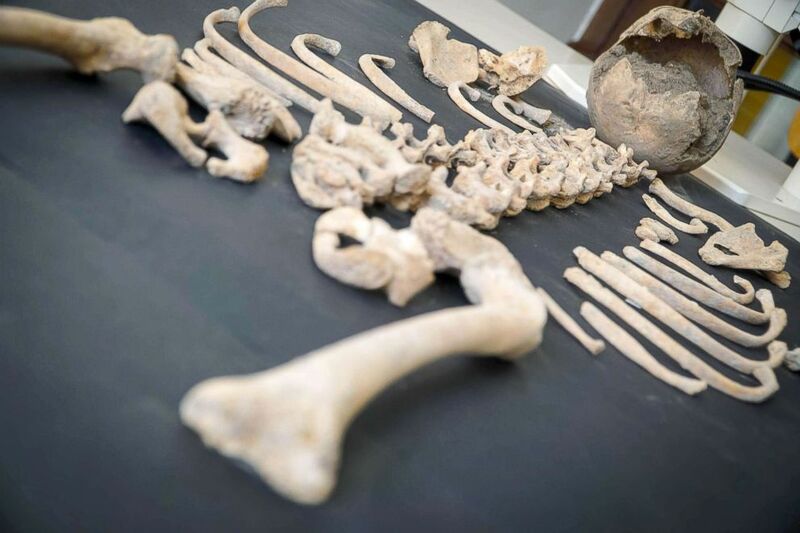 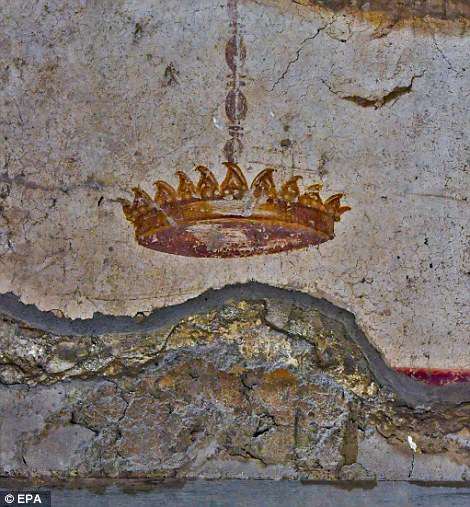 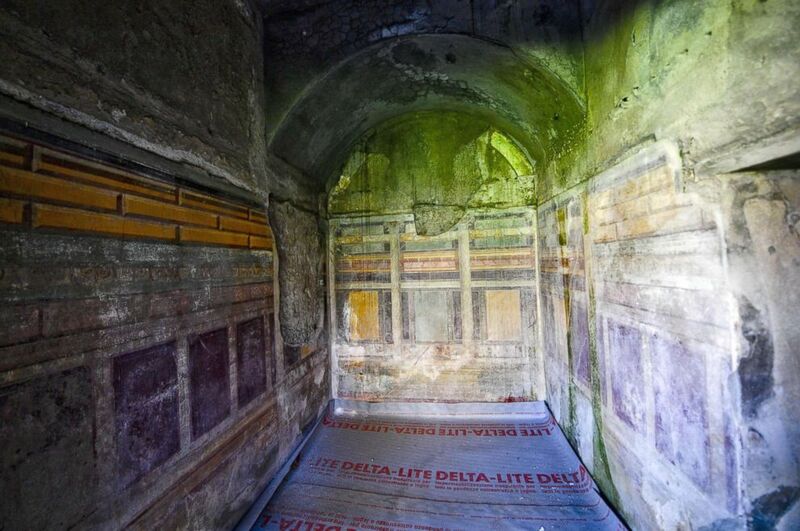 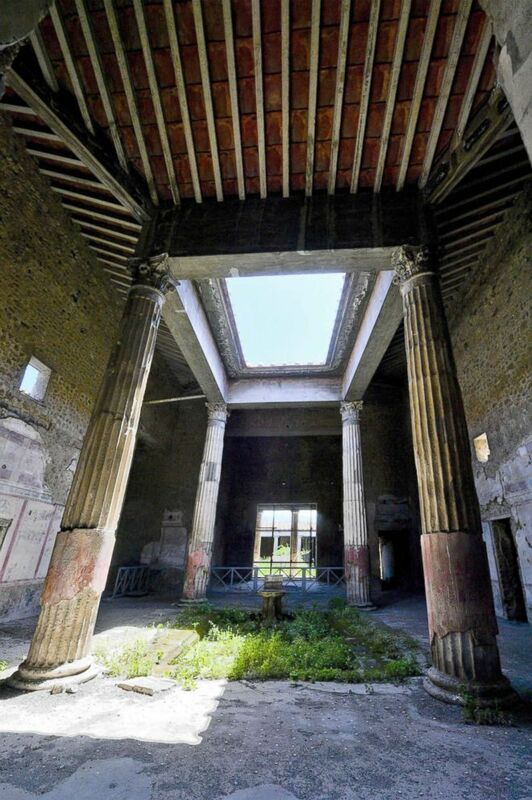 Conservation work is now underway and new finds have been uncovered at a private house known as the 'House of Jupiter' (Casa di Giove) in the Regio V part of the ancient city. 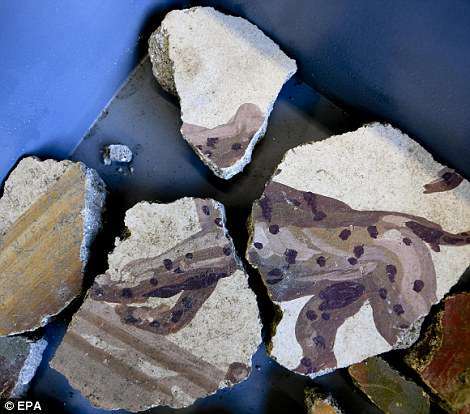 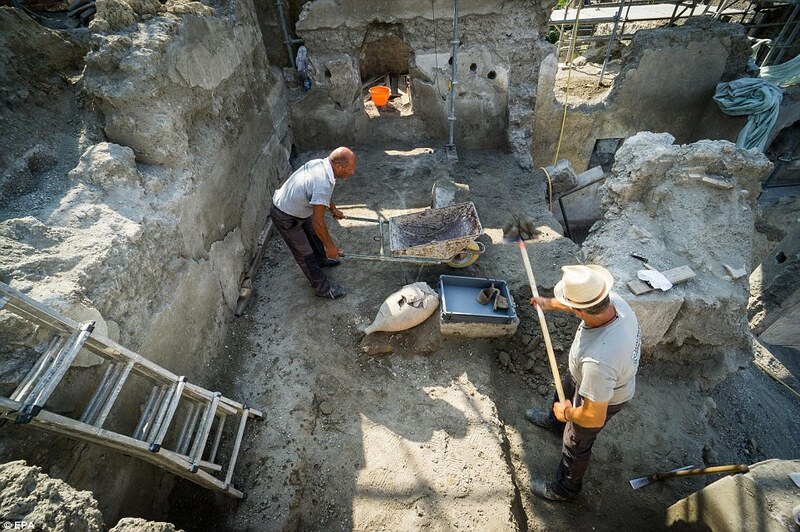 The house was already partly excavated between the 18th and 19th centuries but archaeologists have uncovered yet more frescoes and ornate remains that give us an insight into everyday life thousands of years ago. 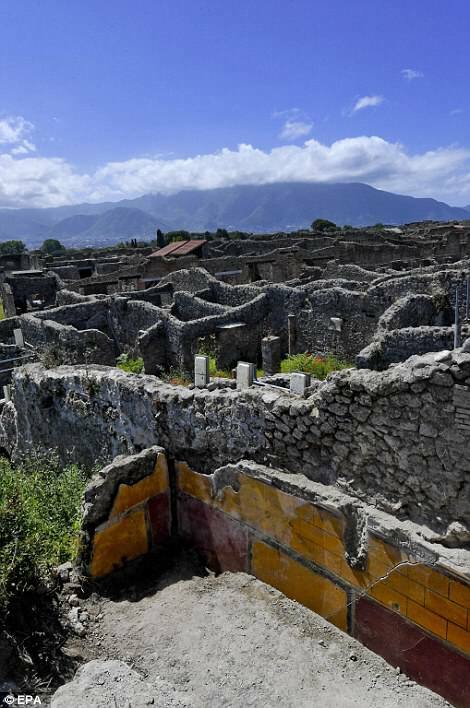 The 2,000 year-old works of art are in good condition, despite surviving one of the most devastating volcanic eruptions in written history. 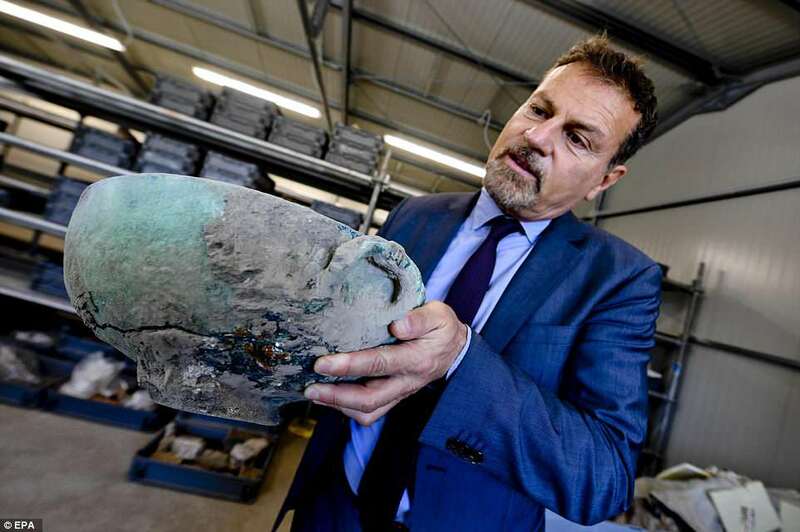 Massimo Osanna, Superintendent of the Special Superintendency for the archaeological heritage of Pompeii, Herculaneum and Stabia shows a bronze vase discovered during excavation works at the archaeological site of Pompeii, where the 'Vicolo dei Balconi' (Alley of Balconies) was recently uncovered in Pompeii, Italy, The Alley of Balconies was uncovered in previously unexcavated area in Pompeii. 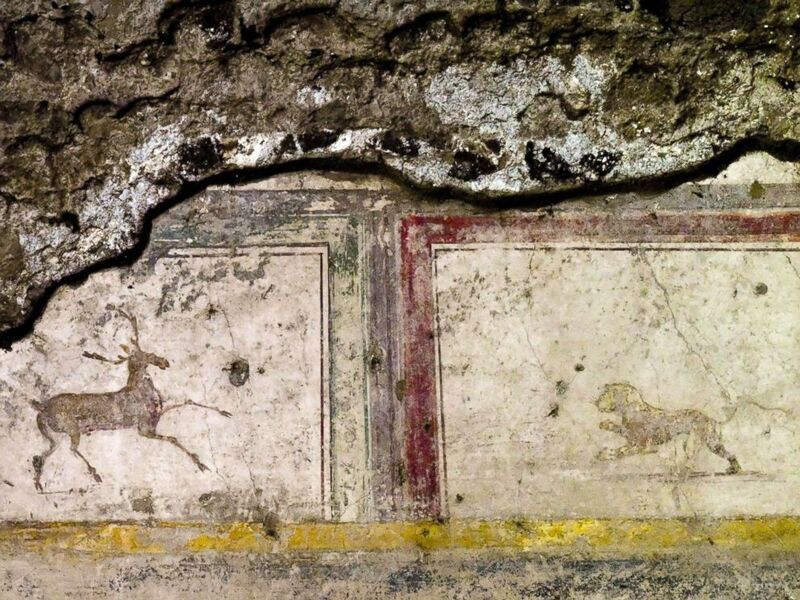 Uncovered buildings with big balconies have Pompeian red colors and geometric, flowers and animal decorations. 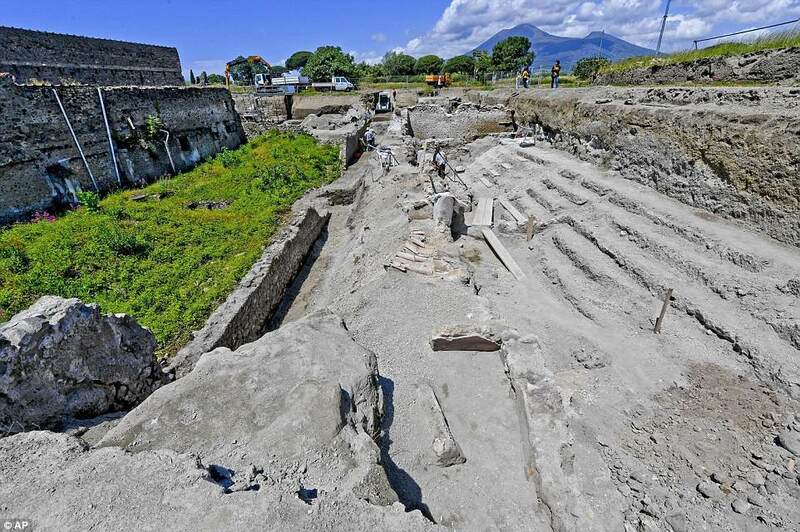 Almost two thousand years after the eruption of Mount Vesuvius in 79 AD, the buildings will be restored and will become a part of a route at the Pompeii. 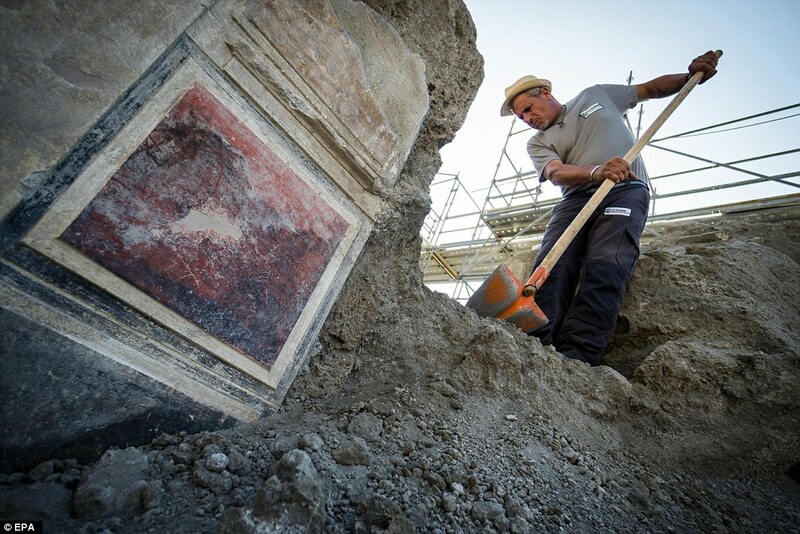 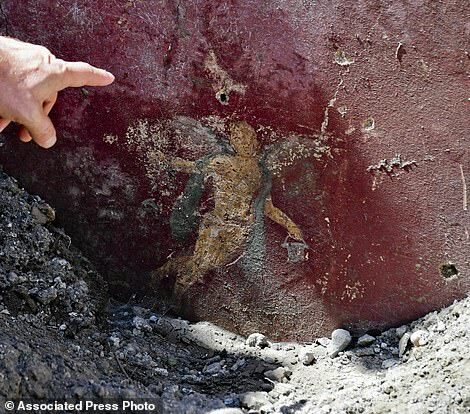 A man points at a detail of a fresco that was found during excavation works in the archaeological site of Pompeii. 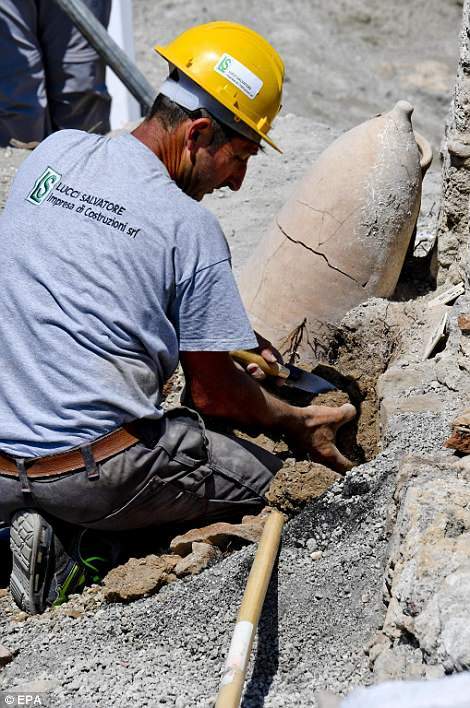 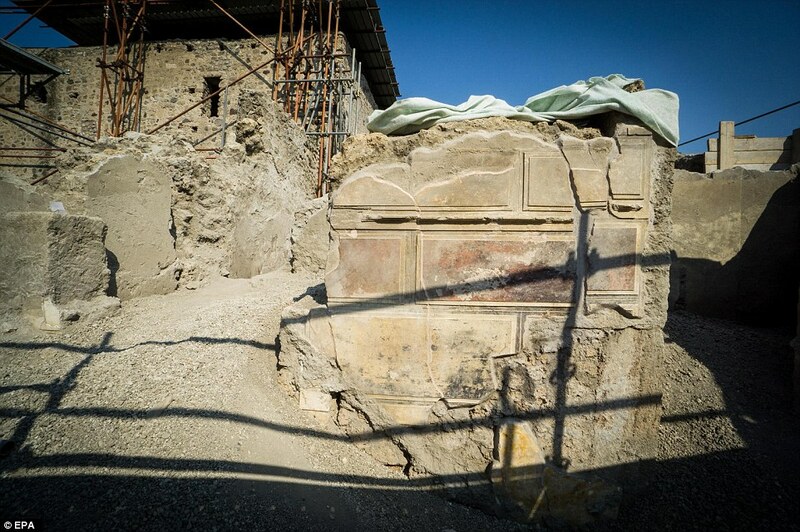 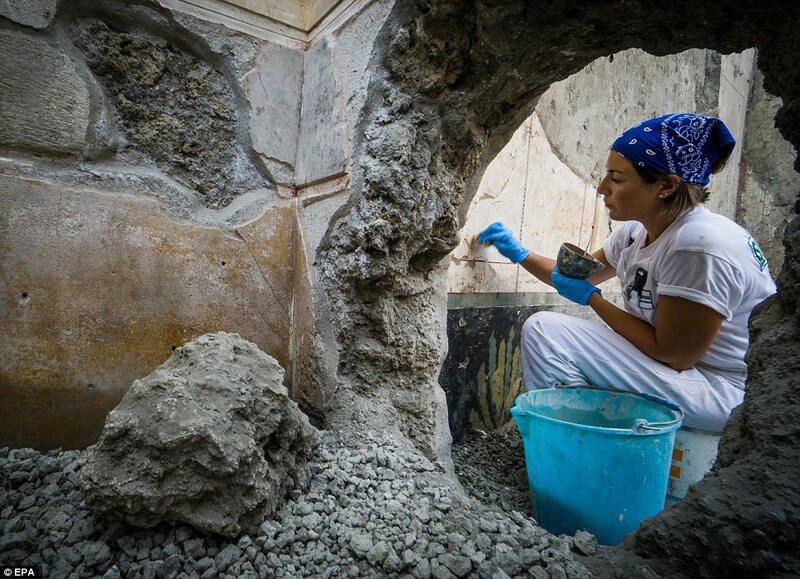 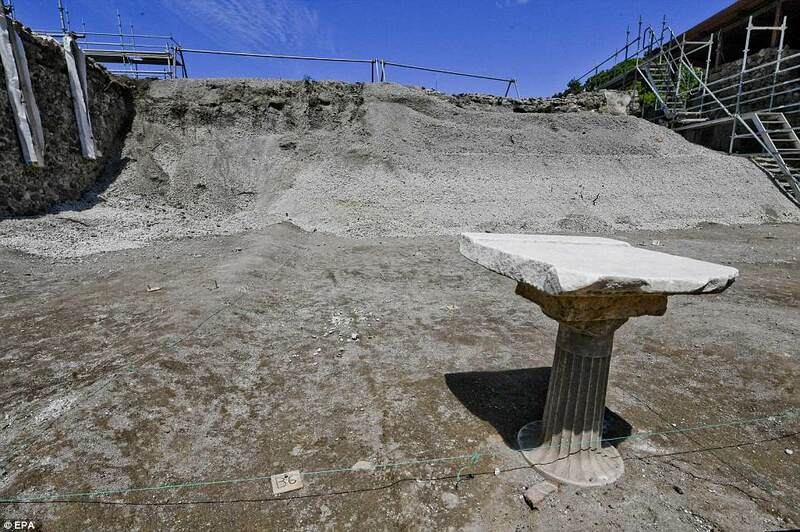 A column with overlaid marble emerged from the ground during excavation works at the archaeological site of Pompeii, where the 'Vicolo dei Balconi' (Alley of Balconies) was recently uncovered in Pompeii, Italy. 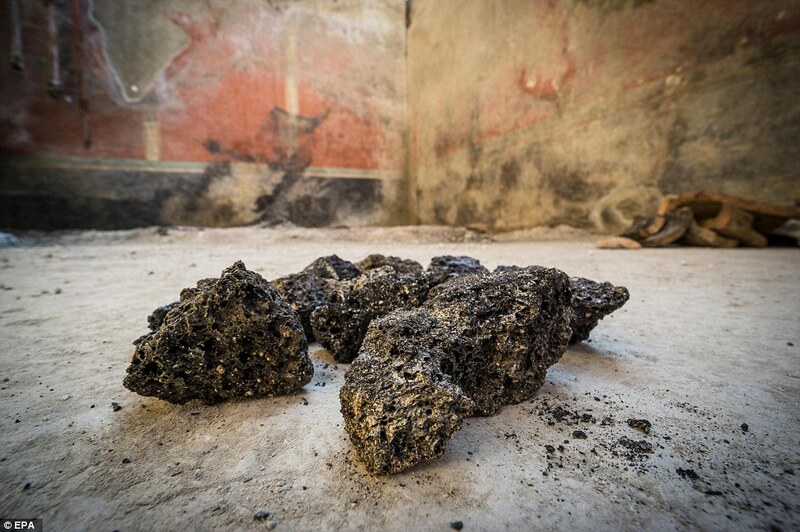 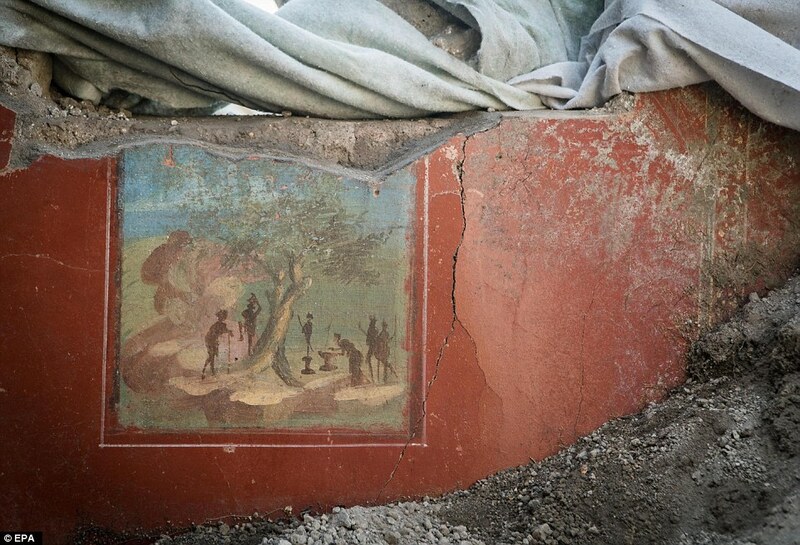 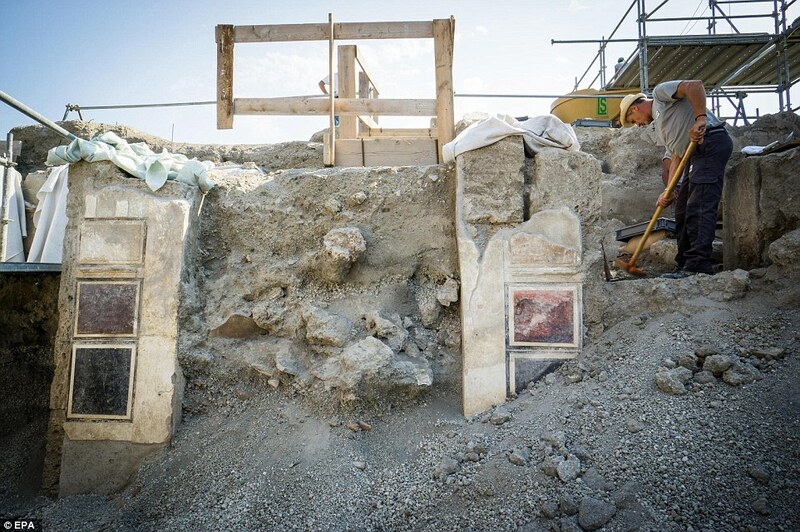 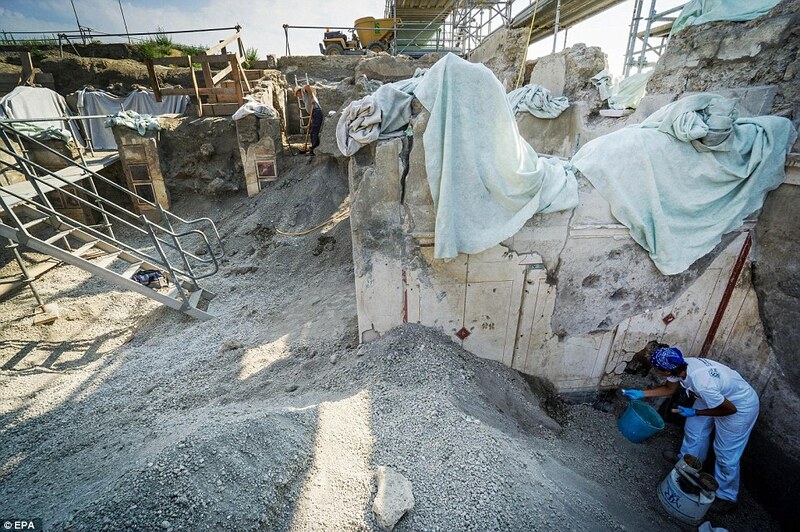 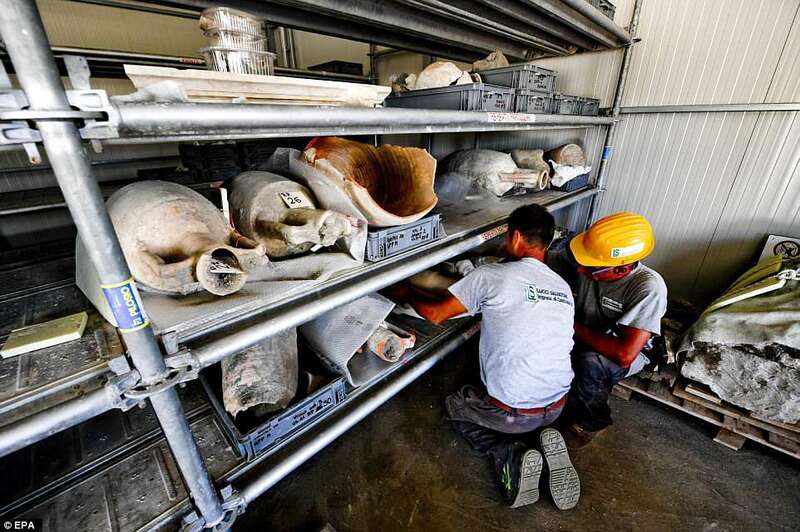 The Alley of Balconies was uncovered in previously unexcavated area in Pompeii.